Lancashire are aiming to secure their third successive Championship victory of the season against Northamptonshire, a side who they have an excellent record against in recent years. 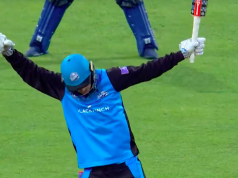 The Red Rose have won all four of the last meetings between the two teams and their most recent triumph saw Lancashire storm to an innings and 200-run victory at Old Trafford after Ashwell Prince and Steven Croft’s record-breaking partnership. The last round of matches saw an important win for Northants, who achieved their first Championship victory in 21 matches after a winless run in their relegation season last year. 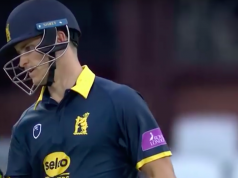 Northants achieved their first win of the season in an evenly-fought match against Leicestershire, while Lancashire clinched a tense victory against Kent with just 14 balls remaining thanks to Paul Horton’s measured innings in his side’s run-chase. Lancashire’s second win in as many matches has launched them to the top of the second division with a 13-point gap over their nearest rivals, Essex, who are one point ahead of Northants in third place after their 92-run victory over county cricket’s whipping boys. For such a small side and one which is often hindered by injuries to key players, Northants remain a contender for promotion this season. There have been several changes in personnel since last season including the departure of veteran James Middlebrook who has moved to Yorkshire. This has left the club without a frontline spin option, although they boast an impressive seam attack, including David Willey, who was named in an experimental ODI side to face Ireland. The last time these two sides found themselves in the second division they were both promoted in 2013, although in that season Northants were beaten on both occasions by Lancashire, who finished top of the table with a 36-point gap over Northants in second place. After finally receiving international recognition David Willey will be out to make an impression, especially after his all-round efforts helped Northants to victory in their last match. Willey scored 124 runs against Leicestershire across the two innings, including a second-innings contribution of 88, which proved to be the difference between success and failure. His first-class average of 28.88 does not do his potential as a true all-rounder justice and the 25-year-old will be looking to improve on his four-day return from last season after suffering from a back injury which kept him out of action for long periods. David Willey clubbed 88 as Northants put Leicestershire to the sword at Grace Road. Kyle Jarvis is now the leading wicket-taker in the second division and is becoming a formidable signing for Lancashire after a tough first year at the club. On many occasions last season, he was made to look ordinary and his raw pace did not always mean that he was a difficult bowler to face. However, the Zimbabwean has worked incredibly hard at his bowling and the results are there for all to see. Jarvis has taken 14 wickets in the first two matches of the season and after managing a return of just two wickets in the same number of games last year it is fair to say that he is one of the most improved cricketers on the county circuit. Northants have named an unchanged team from their trip to Leicestershire with former Lancashire all-rounder, Steven Crook, expected to play as 12th man. Northamptonshire 12-man squad: Alex Wakely (c), Mohammad Azharullah, Joshua Cobb, Steven Crook, Rob Keogh, Rory Kleinveldt, Richard Levi, Rob Newton, Stephen Peters, Andew Rossington, Olly Stone, David Willey. The visitors are still without club captain Tom Smith who is out with a back injury and Peter Siddle enters his penultimate fixture for Lancashire before joining his Australian teammates. Jordan Clark is set to make his second first-class appearance after making his debut against Kent last week and wicketkeeper Alex Davies is likely to be a key player after scoring back-to-back career-best scores in the first two games of the season. Lancashire 12-man squad: Steven Croft (c), Tom Bailey, Nathan Buck, Jordan Clark, Alex Davies, Paul Horton, Kyle Jarvis, Simon Kerrigan, Alviro Petersen, Ashwell Prince, Luis Reece, Peter Siddle. Early-morning showers will hopefully disappear before the start of play on the first day with the rain expected to stay away for the rest of the day. Showers are likely to return in the evening session on Day Two, although the weather becomes a little more unpredictable as the match progresses. For a full forecast click here.